End of May we joint the EMBC Congres in Xanten. 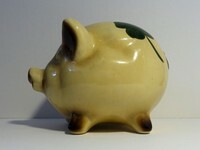 EMBC is the society of (piggy) bank collectors. 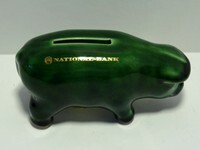 At the convention I 'scored' 3 piggy banks for my collection. 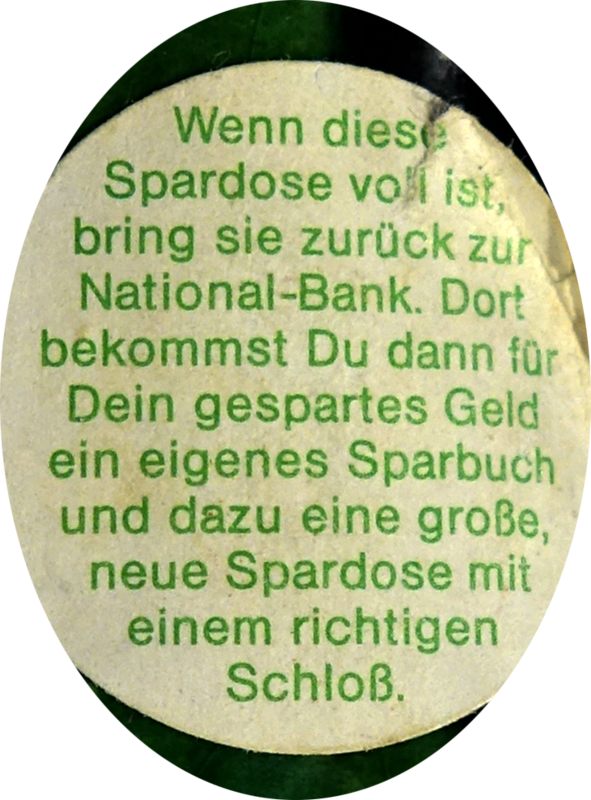 This piggy bank (11,5 cm, number 1011 in my collection) ) is most likely from Bunzlau and bought in the former GDR. The German city of Bunzlau is called since 1945 Bolesławiec in Poland. 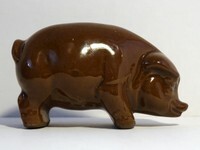 The traditional earthenware still has the brand Bunzlau. A big one (20,5 cm, number 1012) with for leave clover. No hallmark regrettably. A gift from the Chair of the EMBC.